You thought it was wedding season? It is summit season! Here is one on mindfulness. Hope you enjoy. I am currently watching Gabor Maté in the healing trauma summit. Gabor is known as ‘The Addiction Specialist’ in the world. I am happy that I quit drinking, and chocolate and am working on sugar. Just want to remind you the healing trauma summit has started. More info and a link here. The tough part is that I had a few, as I call it psychotic experiences; e.g. while biking through town I saw people’s faces and bodies change to skeletons and also the colour of everything changed in flashes. It are ‘flashes’, at most half a second but pretty disturbing. I realised that if I were to lose myself into it I will go nuts. So breathe, relax and drink water. What worried me is that I actually felt so down at some days that I wanted to lose myself in the flashes, take them seriously and freak out. Breathe, relax and drink water. I think to know that this is ‘just’ another way of my system to look for a way out of this reality. I am pretty convinced the reality of what I see in those flashes is a reality, just not the one I think is a healthy place for me to be. I’m thinking realities are like a drawing on a computer: when done well a drawing exists of layers covering each other; first a some basic shapes, then a grid to fill it in, then a colour layer, a structure layer, a shade layer and then some details. As humans we only a one or two layers, cat’s e.g. see the world totally different because they have other eyes. Sometimes, in my case under severe stress, something in the brain wires wrong and it pushes on the wrong layer tab. Very uncomfortable. Breathe, relax and drink water. It is funny how all my life I have had knowledge of that ‘tab’ but I have stayed clear off it like I stay clear of the door to lala-land. Ok. Question: does anybody else have flashes of crazy? Guess I am coming closer to what is ‘ailing’ me and something inside wants to protect me from meeting that. Fixed it the only way I could by overeating sweets. 😦 But hey, tally ho! Onwards I go. 🙂 Maybe I should be feeding (talking to) my demons by now. Might be more constructive than fighting flashes of psychotic experiences with watermelon and dates. Here a recipe for a lovely desert, most likely this is for 2 persons, but I ate it on my own. Still losing weight though. Well, truth be said it feels like a TREMENDOUSLY BIG meal. 🙂 Quantities of eating is the next thing that is on my list. But baby steps, baby steps. One of the baby steps I am doing right now is getting back to eating home cooked meals twice a day. I’ve thrown away all the ‘thou shallst do this and that’ – only 2 home cooked meals and I am noticing they are getting more healthy during this process anyway. Baby steps Well, apart from this one. Although one could argue that it contains fruit and chia seeds. Cut 2 dates into tiny slivers and put into a small bowl, cover with boiling water and what is that word: squash with a spoon until you have some ‘dilution’. Then add 4-5 tablespoons of coconut milk to an equal amount of chia seeds. The original recipe I had at the Vietnamese restaurant had vanilla in the chai but that comes with refined sugar so I left that out. Leave to swell over 5 minutes at least, add water in tiny tiny bits if you feel the seeds could still expand. The seeds must swell up like crazy and coat themselves in a gel like substance. Heat up a frying pan and add a little coconut oil or butter to lightly cover the surface. Cut 2 bananas in halves and cut those in halves length wise so there is a flat surface to them. Put those in the pan, flat side under and fry (bake?) on low heat, cover with a lid. In another small frying pan put a teaspoon of coconut oil, heat, add a handful 20-25 brown almonds and toss about cheffy so the almonds are coated. Now put back on a low heat till they ‘pop’ and spread a beautiful aroma. In between cut tiny slivers of fresh ginger to taste and add to the nuts. You can use powdered ginger but realise these powdered herbs always need to be heated for 5 minutes through and through so in this pan without moist they would burn. This would be the time to check on your banana’s, the flat side should be brown, if not, take the lid off, crank up the heat and keep an eye on it. They go from pale to dark quickly due to high sugar content. Then use a spatula or 2 forks to turn them around bake till you are ok with the colour. In between cut some peel of an ecological. (!!!) citrus fruit (without the white) in tiny slivers and add to the nuts, stir around a few times and add the 1 cup of cooked and cold rice. Mix and heat up, it is ok for the rice to become a little brownish here and there. Place nicely on a plate and enjoy. Currently still unemployed, not looking for a job, receiving sick leave money from the government, based on my ‘profile’ I have been put at the bottom of the list for treatment. Not sure what that means, but it does mean that I am not getting any treatment obviously. Not sure what that means. Also: I am not up to anything anyhow. I am grateful in a sort of depressed way about quitting alcohol and sugar. I have no ‘will power’ left to put into these next steps to healing so I need to do the way I can: through knowledge and baby steps. The goal is to unaddict, ‘get my body back’ and also to not have the mind fog anymore. To get back on that road of becoming clear which I set off onto when I quit drinking. If not for me, then to minimise the damage I do to others in not being clear and having and addictive personality. More free online summits. This on the use and possibilities of the Eneagrams. I am going to join because I need to look for another way of making money and my enneagram says ‘Perfectionist’ – which is funny in a very much not funny way. What if you had a roadmap — a “soul map” — for understanding who you are and what makes the people around you tick? A time-tested system that integrates your whole being and can be applied to every area of your life? And what if this map could help you tap into your essential nature, resulting in truly authentic relationships and a deep sense of living on purpose? This map exists, and it’s the Enneagram… a powerful personality typing system that serves as a profound gateway to your inner wisdom. It can shed light on behaviors which might be undermining your ability to access wholeness, true intimacy and fulfilment of your life’s dreams. That’s why I’m excited to invite you to one of our most popular annual events, The Enneagram Global Summit — a gathering of today’s top Enneagram experts who’ll bring light to this powerful psychological and spiritual tool for accessing more self-awareness and compassion for yourself and those around you. We’re excited to bring you more than 45 of the world’s top experts — including Claudio Naranjo, Russ Hudson, Helen Palmer, Cheryl Richardson, Dan Siegel, Katie Hendricks, Robert Holden, A.H. Almaas (Hameed Ali), Jessica Dibb, Dr. David Daniels (posthumously), and others — sharing the latest insights and applications to integrate into your own personal growth journey and to take your Enneagram knowledge deeper. During The Enneagram Global Summit, you’ll discover key insights and practices to break free from unhealthy patterns, reconnect with your true Self and realize your highest potential. I hope you’ll join us for this special online gathering! 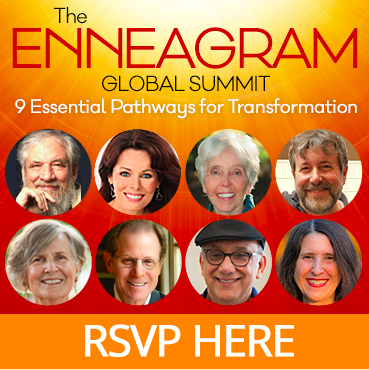 RSVP here for The Enneagram Global Summit — at no charge. If you’re new to this ancient system, you’ll be guided to the best tests and practices for determining your individual type — including ways to differentiate between “look-alike” types. You’ll start working with the core patterns of your type and begin to connect with the parts of yourself that allow you to respond to life spontaneously and creatively. If you’re already well-versed in the Enneagram, you’ll take your work even deeper — empowering you to make YOUR contributions to the world! Plus, you’ll fine-tune your understanding of how to use the less balanced aspects of each type as catalysts for personal and spiritual growth — and how to use the higher aspects of each type to raise your level of consciousness. If you want a greater connection with your unique gifts, as well as more self-acceptance, self-love and compassion for others, join the amazing panel of presenters for this life-changing event. I am happy that I quit. Having difficulty with not eating chocolate for the ‘Ramadan-light’ (no, that is not an official term :-)) I do pointed out that my transfer addictions are big so I started reading ‘The addictive personality’ by Craig Nakken again. I read that 2 times now and this is the 3rd. Still, every sentence is quote worthy. And again I experience it as comforting that this whole disease or what you want to call it is described in a book(let) even before I reached the legal drinking age. If you don’t have a copy, look it up on the net, plenty of second-hand versions around too. What I find stressful and depressing but at times invigorating is that there are so many layers to peel off, so many layers of denial. And again and again I notice that it is COMPASSION which actually enables me to open my eyes to the denial. The hugbudy appreciating the abundance of my figure enabled me to actually look at it instead of scan it (while irritated). And about compassion; I finished the ‘There is nothing wrong with you and on days I could stick to what it says but wow, it is difficult to change this dismissive behaviour of mine around. It does not make sense to re-read now so I continued in the Nakken book in order to see how he finds addiction leads to self-hate and lack of compassion. There is so much going on in the world which weighs me down deeply. But 2 things happening these days, thanks to Cristal Clear: I am sick and tired of being sick and tired. And also: if I want to be able to work on worldpeace, I need to make peace with me and my past first. Isn’t it funny how the 12 steps pass by in my life and writing and they all seem to be needed in order to become clear, transparent. A quote from Nakken: ‘Addicts keep delaying life issues as a way of nurturing themselves.’ How is that for a spot on description of procrastinating? By the way: the book includes a very clear explanation of how perfectionism builds up in a life and why it is so strongly linked to addiction. Wishing you a nice sober evening/day. Hope the new week brings good sober stuff into your life. Sounds True holds a free online summit on the subject of Healing Trauma. The 10 day summit starts June 4th. Do you have clients or loved ones who face the emotional wounds of trauma each day? Or are you yourself struggling with the effects of trauma, either from childhood or recent events? Whether it’s natural disasters, war, acts of violence, early-life experiences, or even a car accident or major surgery—so many people live with the unresolved consequences of trauma. The good news is that the past 20 years have brought us extraordinary, evidence-based breakthroughs in the treatment and healing of trauma. In a wide range of fields, psychologists, neuroscientists, pioneering therapists, and traditional healers are making enormous progress in helping us to recover—and to turn our energies toward our greater dreams and life purpose. For those who have not partaken in an online summit before: online summits are generally a series of interviews with experts on a certain subject. The videos are broadcasted during the summit and free to watch for 24 hours. At the end of the summit there generally is a 2 day period in which you can watch all the vids for free. In order to see the interviews you need to sign up at the website. After that they will send you a mail with a link. The link will give you access. You can do that upfront and possibly watch some teasers and plan your calender around theirs. Please note: most online summits are free, but the organisation will set up the website so that you easily end up at the payment booth. Mainly I end up buying a book from one or more of the speakers most of the time though. Thanks to Dharmaholic who made me aware of this free online summit. I thougth the summit might interestes some of you. But check out the rest of Dharmaholics blog too. Very nice. Wishing you a lovely sober day! Ooh, a bit late but you could get a view of all the vids in the last days of the 10th Annual World Tapping Summit. Register here. I am happy that I quit. Going through a difficult spot in time. Had some medical exams today. Pretty painful and in places where you would rather not find anybody poking, brought back nasty memories. So I should be taking my own advice and doing some tapping 😉 on nasty memories e.g. A woman who loves herself would just go to bed. Again and again and again that seems to be a good thing to do. Wishing you a good, bright, sober day.